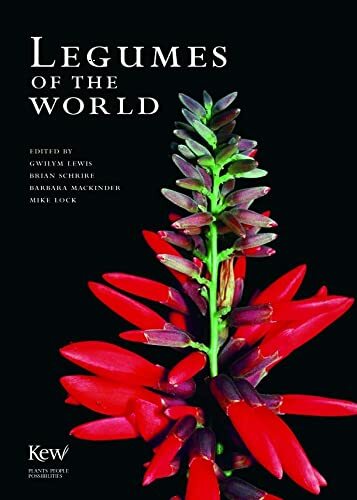 Legumes of the World is the first authoritative, comprehensive illustrated guide, describing and illustrating all 727 genera. Gwilym Lewis is an authority on South American legumes and has specialist knowledge of the genus Caesalpinia and several mimosoid genera. He has written three books and c. 100 research papers on legumes and is currently head of the legume team in the Herbarium at Kew. Brain Schrire studied botany in South Africa where he headed Natal Herbarium in Durban from 1980 to 1985. He was South African Liaison Botanist at Kew from mid 1985 to mid 1988 and later joined the Kew Legume Section in 1994. His main research interests are legume biogeography and systematics. Barbara Mackinder studies tropical African legumes. She has a specialist knowledge of the genera of leguminous trees which dominate the forests of west and central Africa and is currently monographing the Caesalpinioid genus Berlinia.